Giveaway! 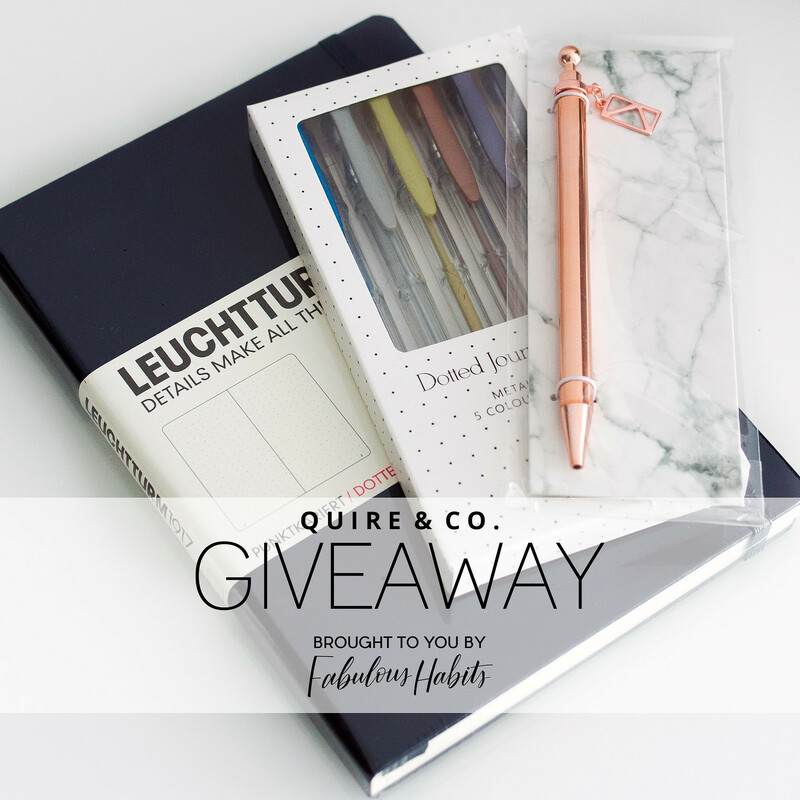 - Quire & Co.
My friend Lisa from Fabulous Habits runs a and I have collaborated to put together a giveaway of some great goodies to one lucky winner! Visit my Instagram to see how you can win a Leuchtturm1917 Medium (A5) Dotted Notebook in Navy Blue, a gold charm pen and a set of gel pens. This entry was posted in Giveaway and tagged gel pens, giveaway, journal, leuchtturm1917, notebook, pen. Bookmark the permalink.